Even as Macy's and JC Penney play tug-of-war in court with Martha Stewart's brand name, new Martha products are slowly filtering into JC Penney stores across the United States. 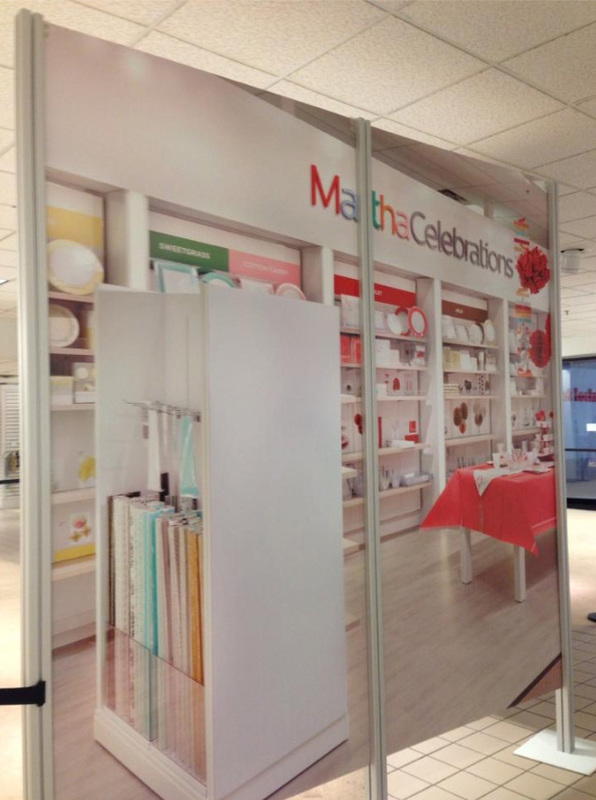 Martha Moments reader Jonathan Borretti sent in these photos from the JC Penney store in Danbury Fair Mall in Connecticut where they are preparing to launch the Martha Home boutique; a shop-within-a-shop concept that will feature Martha Stewart lighting, window coverings, pantry items and a category of products that falls under the "celebrations" heading: decorations and supplies for celebrating special occasions. The Martha Home line is actually an all-encompassing brand that originally featured a wide range of cooking and household products, such as dinnerware, bedding and bathroom accessories. The sale of these classes of goods under the Martha Stewart monicker at JC Penney is being contested by Macy's. A visit to the JC Penney website currently features several categories for the Martha Home line that will be making it to shoppers this month, including window treatments, pantry goods and celebration accessories. We may yet see the complete Martha Home line at JC Penney, pending the outcome of the trial, which is currently before the courts. In the meantime, JC Penney is preparing to showcase the classes of Martha products that are not tangled up in the lawsuit and we should be seeing a lot more by the end of the month! I really hope everything works out so that Macy's, Martha and JC Penney emerge with something beneficial for everyone involved - indluding the consumer! Thank you, Jonathan, for these photos. This partition sealed off an area of the store that was being prepared for the Martha Home section of the store. Based on the image, we can see rolls of pretty wrapping paper, serving platters and paper pom-poms under the Celebrations heading. JCP and Macys stores ~ still afloat? It's amazing they're both still paying mall rent to house their merchandise nowadays. 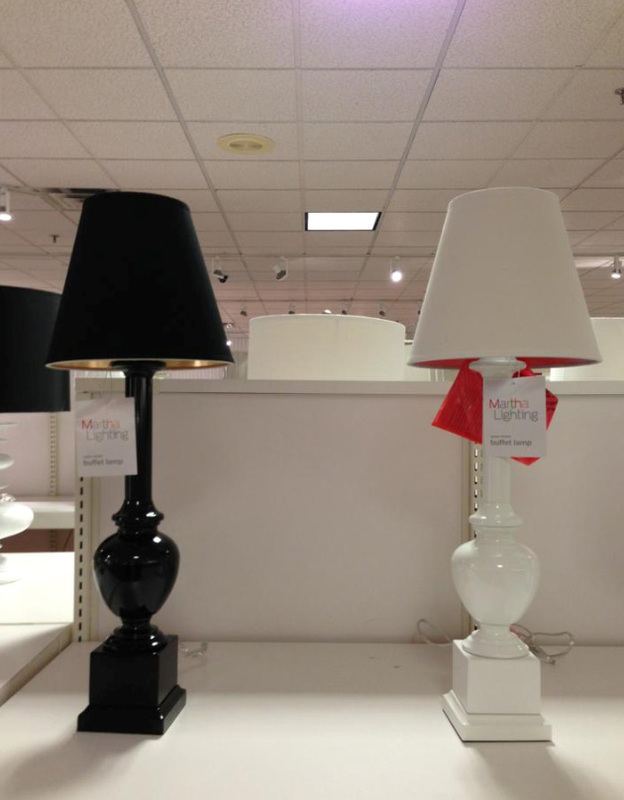 David and I went on a "Martha hunt" yesterday at two JCP stores. Both stores had a large portion of their home sections "hidden" with "Coming, Spring 2013" banners and signage. No specific mention of MarthaHome. The JCP website currently has the MarthaWindow selections online. Love the lamps! I just went to the JCP by my house and they had 3 Martha lamps: a mercury glass lamp, metal and marble lamp, and modern cage lamp. No signage though. Some parts of the home section looked quite empty so I think they might be making space. I hope everything works out for the three companies.